Google’s Pixel phones are major flagship devices, and while both the Pixel and Pixel 2 were part of special offers from T-Mobile, they haven’t actually been sold by T-Mo in the U.S. Unfortunately for Pixel fans, it sounds like that’ll continue this year. The Google Pixel 3 and Pixel 3 XL are expected to have Verizon as their exclusive U.S. carrier, says a new report from Bloomberg. It’s also said that Google is aiming to launch its new Pixel phones in October, just like it’s done with the two previous Pixel generations. This is disappointing news for anyone hoping that T-Mobile might finally have the Pixel 3 on its shelves this year. Such a move would give T-Mo customers the chance to check out the new Pixels in T-Mobile stores and get the phones on EIP or JOD. 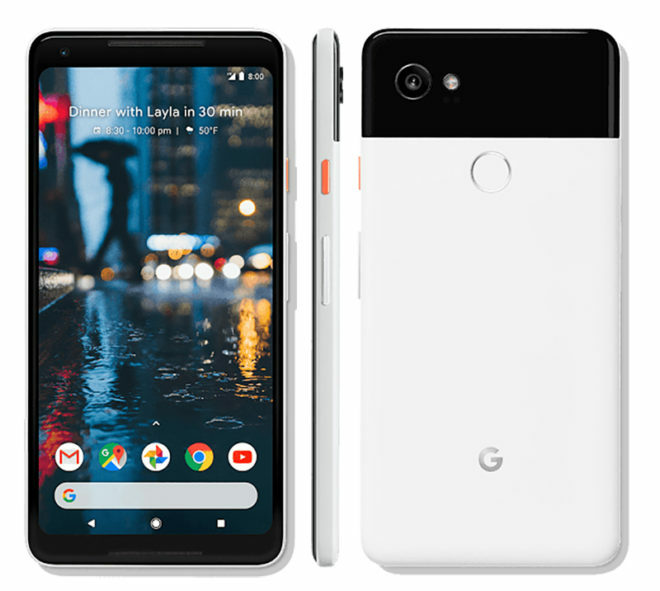 It is worth noting that Google has sold unlocked versions of previous Pixel phones that worked on T-Mobile, though, and it seems likely that it’ll do it again with the Pixel 3 and Pixel 3 XL. Today’s leaked report also offers some details on the Pixel 3 and Pixel 3 XL hardware. It’s said that the Pixel 3 will have a design similar to the Pixel 2, meaning no edge-to-edge display. Meanwhile, the Pixel 3 XL will reportedly have a nearly edge-to-edge screen with a notch up and a chin on the bottom in order to give the phone front-facing stereo speakers. Google is expected to equip both phones with an upgraded single lens rear camera, and the notch of the Pixel 3 XL will reportedly include dual front cameras. What do you think of this new report? Are you interested in the Pixel 3 or Pixel 3 XL? Don’t forget low ended phones and midrange phones. They did bring back Moto.with one hign end Moto and one lower end Moto. I’ll be pleasantly surprised if they end up carrying the Z3. The Z2 Force was basically a disaster for them, cutting prices in half within a month of launch. That’s the z3 Play, TMo has never done much with mid-range phones. The full z3 is a flagship, with higher specs, probably being announced next month, and would be the one TMo would carry if they carry one at all. Ok,yes I notice that about midrange line up of Tmo,always on the lower end. If the manufacturer doesn’t believe their device will sell well enough on every carrier or can’t meet the manufacturing demands to feed all major carriers. then yeah it’s more profitable to make a deal with one carrier for exclusivity since they get paid their exclusivity fee no matter what. It’s all about advertising costs. Verizon pays for a lot of pixel ads and gets exclusitivity. TMob doesn’t have the budget to run ads for a low selling phone if offered by all the networks. Also, I’ll take all the BYOP discounts TMobile will offer. Besides I prefer my carrier and ODM as separated as possible. Historically, the Nexus phones’ sales numbers were a mixed bag for T-Mo. The Nexus 5 sold well, but apparently the Nexus 6 didn’t in the long run (not surprising considering the issues it had). Supply issues also plagued both in sales, with stores not being able to carry any stock and delivery of orders sometimes being weeks out. This is one of the big reasons the 6P and 5X were direct sales only – they couldn’t guarantee stock. I can only imagine that T-Mo would be somewhat cautious about these phones, even if they could get them because of this. The LG V30 is a beast of a phone so far. Hardware wise they are great, but their skin is the worst of the major players, and the software in general is pretty bad at times. My V30 had issues with actual stutter – not the kind people whine about, but literally having the audio begin to stutter – and only a reboot would fix it. That kind of thing should not be happening on a phone that costs nearly $1000 and has the same specs as phones that don’t have the issue. The screen on the V30 also really didn’t do it any favors. It got muddy at any brightness below 30 to the point where video was unwatchable in a dark room, and the auto-brightness didn’t really work well enough to bother leaving it on. All I care about is if T-Mobile gets the Pixel 3 on payments, I’m so sick of Verizon having exclusive rights to the Pixels…that’s gotta end now! Google would sell way more phones by having every carrier sell them but they just don’t care or Verizon is just paying so much for exclusivity that it doesn’t matter to them. Tell John Legere on his Twitter page. Maybe if He sees a enough demand for the pixel, he will talk to google about it, and fight for it to come to T-Mobile. A Google phone with a notch? If so, then the capitulation is total and complete. I must be the only person who doesn’t care about an “all screen” phone. But then, I’ve never owned a Pixel, and I never will. So go ahead, Google, put a notch wherever you want. If it had SD card slot, I might forgive the notch. And don’t tell I me don’t need SD card. Everyone’s need is different. Some people are fine without SD, and some people need it (need, not want). Google drew the line several years ago on this and I don’t think they’ll change, so yeah, no Pixel. It won’t. Google doesn’t want people throwing in garbage or counterfeit SD cards and then complaining about how the device is slow – they’ve been pretty clear on this point in the past, and are unlikely to change this stance. Yeah, of course I’ve heard that. But all these years, other phone makers are just fine leaving the SD slot in their phones and not getting any significant issues with it. They’re most likely not losing sales because of it, and instead certainly making sales to people like me who need the SD card. Yep, dead on. But it’s worse. They SAY the things I mention, but they are also using these excuses to be able to upsell people to higher end phones. They are charging $100 for something that costs them $10, and what you can pay $20 for with a decent SD card. That’s exactly how Apple does it too. However, there’s more. They assuage your ire over this by giving you free photo storage for life – photos they use internally to improve their AI and other systems, essentially using your work to provide data that they use to sell other products. People often forget that Google is a data company, not a hardware company. Everything they do is about collecting more data about you. Pixel is first and foremost a way to get a device in your hands that delivers data about you directly to them throughout the day every day, with no partners in between to get in the way. This is substantially different than Apple’s model of selling hardware and software as a platform that locks you into their infrastructure – Google doesn’t care about the platform, they want to know as much about YOU as possible. If you think this is harmless, you’re probably right. However, keep in mind that a bunch of Google employees just quit because they are developing a system for the US government that promises to be able to “identify individual threats”. Those photos you upload to them mixed with their AI tech is basically a voluntary big brother. Which is great as long as they are using it to find the bad guy. Unless for some reason they decide YOU are the bad guy, that is.